Our biggest cook's spoon! This spoon is in stock and ready to ship for free! 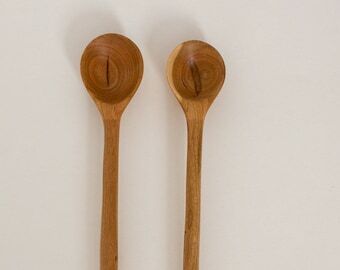 Deep bowl baking and cooking spoon in dark walnut or cherry handmade from local hardwood. Long sturdy handle with beautiful grain. 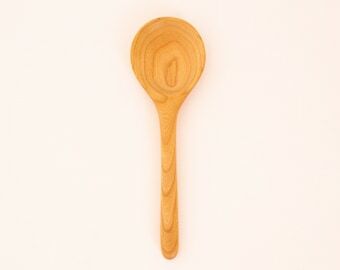 Perfect for stirring stiff batter and dough. Great for canning. 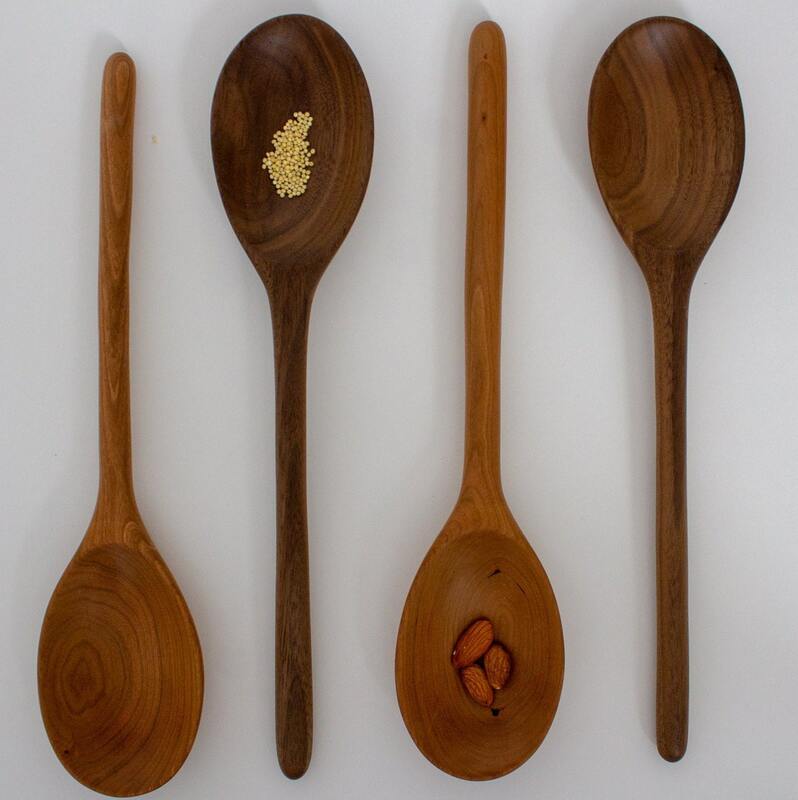 We sand our spoons to a smooth surface and finish them with food-safe flaxseed oil for a satiny hand feel. Available in dark walnut or cherry wood. 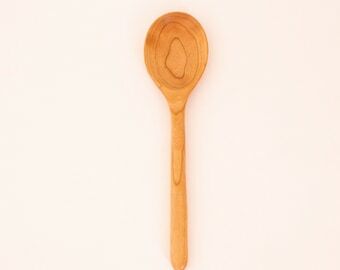 Spoon length: 14 1/2 "
Bowl Depth (approximate): wood 7/8" bowl 3/4"